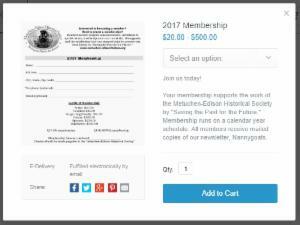 Your membership supports the work of the Metuchen-Edison Historical Society by "Saving the Past for the Future." Membership runs on a calendar year schedule. All members receive mailed copies of our newsletter, Nannygoats. Current Members: renewal notices are sent out at the end of each calendar year. 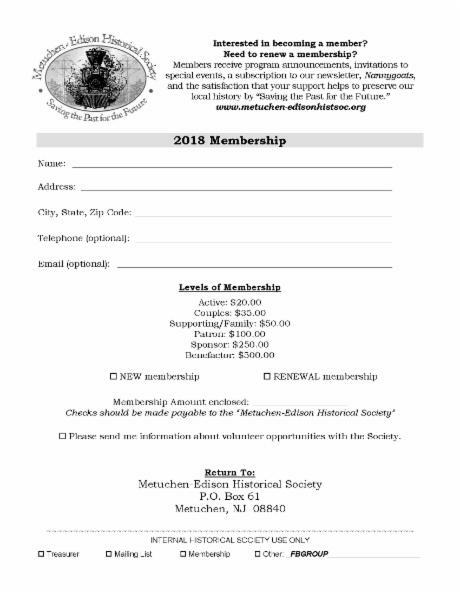 If you aren't sure if you renewed for this year, contact us at info@metuchen-edisonhistsoc.org.